I began writing this piece before my last post about Anthony Bourdain and his death. Since then I have been trying to find ways to verbally express my joy and it has escaped me. When I tell you in person about this trip, you can see the fun in my face, but writing my joy has been a challenge. I do hope you enjoy this, because it was a great day! Sorry I have been incommunicado for ages, but life got thrown at me…HARD. It’s been several months of traveling and events and FIRSTS. Of course I have been sharing the delish things I have been eating, and if you missed any of those, you can follow along on Instagram or Facebook to see what I am posting when I am not writing. I’ve been to festivals, been a judge for the culinary portion of Motley Brews Great Vegas Festival of Beer, attended a birthday celebration with an absentee honoree, attended three weddings, had my house painted and pool resurfaced, had high school friends visit, went to Seattle, and so much more. With all of THAT going on, you’d think I had stuff to write about, and I do, but couldn’t make/find the time, or find my joy in writing. 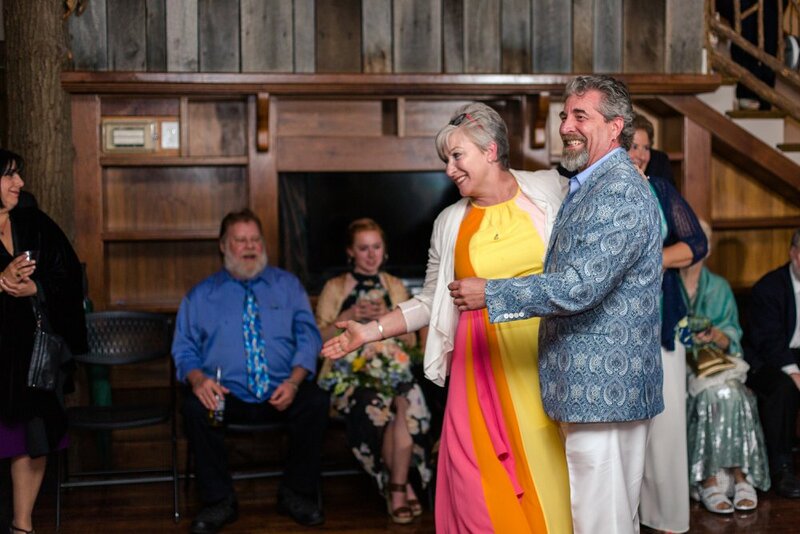 Dancing at my nephew’s wedding with the Hubs. If you haven’t started one for yourself, I suggest you start a “bucket list”. Like the movie, but without Nicholson’s character’s bank account, I started my bucket list a few years ago, and I add to it and scratch stuff off as I experience or do an activity. My bucket list is nearly 50 items long and I figure the bucket list will grow as I find new things I want to experience. Some are off the charts crazy. Like “have my picture taken by Annie Leibovitz”. Others are pretty down to earth, like “drive the length of Route 66”. The one I was able to scratch off the bucket list this week was “deep sea fishing” thanks to my BIL Walter. I have never enjoyed lake or stream fishing because you are supposed to be quiet and not scare the fish. If you know me at all, you know I have trouble keeping quiet, so those activities are not for me. However, with deep sea fishing of the trawling type that we did, the motor makes so much noise that my talking isn’t an issue. Basically, you cast the line off the back of the boat, and then motor the boat thru the water. The lure and bait jump about in the wake of the boat to catch the attention of the prey. 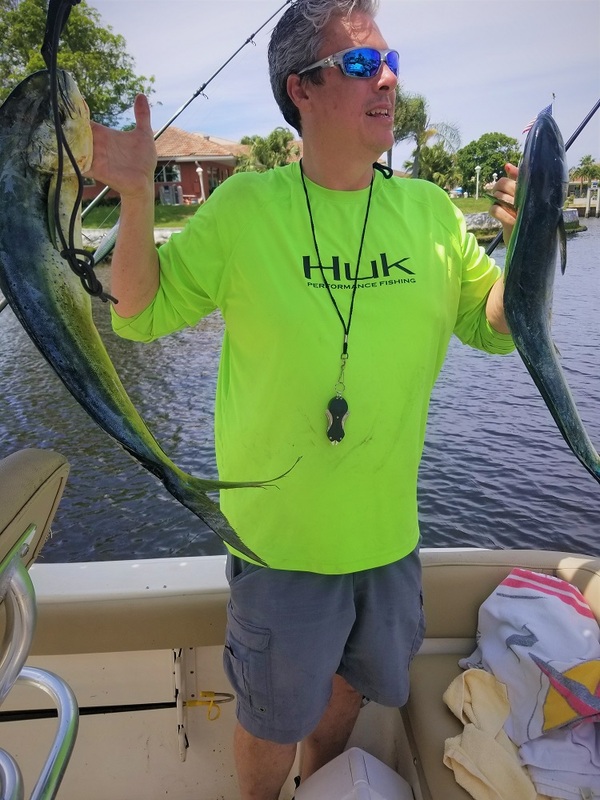 In our case, the prey was dolphin fish (aka Mahi Mahi or Dorado depending on where you are located). When the fish bite, the line starts to spool out FAST and that’s when the excitement begins. Friend Steve helpfully skinned, cleaned and filleted the catch faster than I could have ever done, and that night we enjoyed fresh Mahi ceviche and grilled fish tacos with all the classic accompaniments. And of course there are no pics of that either. I was so excited, and there was such an adrenaline rush when pulling the fish in that I took NO pics or video of Walter’s efforts. I was truly living in the moment and only thought of the potential for great copy for the blog AFTER the fact. Sometimes living in the moment is the way to go. I spotted the lines spooling out (which meant there was a fish on the end) and Walter did all of the reeling in. And a good thing too! The second fish we caught was over 25lbs and jumped a full 3 feet out of the water at one point. Walter had to get down on one knee and lean way back to get that fish on the deck. Had I tried to do it, that fish would have pulled me into the water. Never before in my life had I experienced sea sickness on a small boat – cruise ships yes, but never on a small boat. That has changed. As soon as the boat stopped moving so we could reel in the fish, my stomach did not cooperate. There were 3 episodes and I powered through them like a champ, chumming the water and begging to keep going. Yes…really. After the third round, Walter called the fight and we went back to shore. I had such a good time that I can’t wait to go back and do it again with Walter! But this time I am taking my seasickness meds! Lately I have spent a LOT of time living in the moment. Putting my phone down, not posting and sharing and just LIVING my life. I attended the sold out Vegas Unstripped event and I didn’t take a single picture. I went to Hopped Taco and the only pics I took show up on my Instagram account. When my friends were here, I took virtually no pics of our time together. I know it is self defeating, but I am trying to truly live in the moment.